In the final installment in the Hybrid Chronicles—bound to captivate fans of Ally Condie, Lauren Oliver, and Scott Westerfeld—Addie and Eva must come to terms with sharing a body as they fight for lasting change and hybrid freedom. Addie and Eva barely survived the explosion at the Powatt institution, but they refuse to sit still as the nation ripples with rebellion. When an ambitious reporter offers Addie and Eva the chance to go undercover and film the wretched conditions of a hybrid institution, the girls jump at the chance to once again take part in the fight for hybrid freedom. As Eva and Addie walk into danger, they cling to each other and the hope of a better future. But the price they might pay is higher than they ever could have imagined. 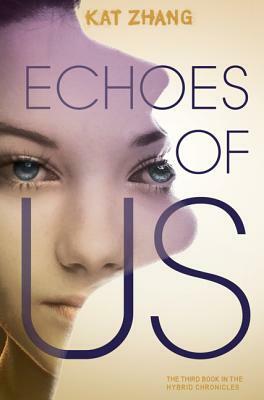 Zhang’s precise prose skillfully delineates Eva’s unique first–person point of view, and the sisters’ intense relationship continues to be deeply compelling…fans will have plenty of reasons to be impatient for the third book in the series. Zhang’s concept is original and provocative; the deep bond between Eva and Addie (the shifts between I, we, and she in Eva’s narration are especially haunting) and the mystery about why their society is so desperate to ‘fix’ hybrids are riveting. A deeply original tale of longing for identity; so skillfully crafted, the words float above the page. Uniquely imagined…Zhang’s prose is lovely, and the plot is compelling to the last page. An intriguing depiction of sibling relationships and the challenges of learning to live as distinct, though not physically separate, individuals.